We name the ‘secret part’ everything relating to espionage. Nothing is more important in an army than the organization of this service. From the battlefield to the bedroom, almost every facet of Napoleon Bonaparte’s life and career has been trawled over by battalions of historians. However, in matters of secret service Napoleon’s activities, although often alluded to, have rarely been exposed. While he is remembered as the greatest general of his age, perhaps he should also be proclaimed its spymaster supreme. For like the kings of ancient Persia, Napoleon the autocrat was served by a myriad of agents, informers, plotters and spies at every level, home and abroad. Napoleon first demonstrated his understanding of military espionage during the Italian campaigns of 1796–97. Before his arrival, Italy was already a hotbed of intrigue, revolution and secret societies. Since 1789 French diplomats posted to Italy had encouraged the formation of revolutionary clubs along Masonic lines. Their most active disciples were from the liberal professions – doctors, lawyers, merchants, ‘enlightened’ nobles, soldiers and priests with leanings towards Jansenism. These clubs appeared most along the border with France, in the country of Piedmont, then ruled by the King of Sardinia, Victor Amadeus (ruled 1773–97). Calling themselves ‘Patriots’, the Piedmontese revolutionaries wanted the French to help them establish a sister republic. Taking advantage of these sentiments, the French chargé d’affaires at Genoa, Tilly, established contact with three Patriot clubs in Turin. Although these formed the hub of revolutionary activity in Piedmont, secret meetings were also held in Alba, Asti, Vercelli and Novara. At the beginning of 1794, the French advanced into Liguria, the narrow coastal strip between Genoa and Nice. Under Tilly’s direction, the Turin Patriots conspired to raise Piedmont in revolt. Unfortunately, on 24 May the chairman of one Turin club, Dr Barolo, betrayed the conspiracy and denounced his fellow Patriots. A crackdown ensued, which saw the arrest of around 40 Patriots, some of whom were sentenced to death. The survivors fled and in the most part joined an already large number of Italians gathering around Nice or in the city of Oneille. There they found fellow political exiles including Filippo Buonarroti (1761–1837), a sort of unofficial ambassador of Italian revolutionaries to France. Buonarroti’s long-term objective was to create a ‘Republic of Turin’. Key to his plans was the creation of a provisional government, thus avoiding the need for French military occupation. Despite the failure of the 1794 uprising, Buonarroti wanted to stage another coinciding with a French invasion – a plan supported by French general Pierre Augereau (1757–1816). From the French point of view, this influx of active, politically astute Italians gave them a ready pool of agents. This was realized by General Scherer, who by the beginning of 1795 had built an impressive intelligence service in preparation for the invasion. His ‘secret correspondence’ was overseen by a committed Piedmontese revolutionary, Adjudant-Général Rusca. Operating from an advanced position at Savona, Rusca was seconded by a number of skilful men, including the exiled Turin lawyer Angelo Pico, a member of the treacherous Dr Barolo’s Turin club who had managed to escape after arrest. Between them, Rusca and Pico assembled a network of agents in southern Piedmont. Both were assisted by another of Dr Barolo’s former club mates, Felice Antonio Campana, who acted as their linkman in Nice, fulfilling the functions of secretary. Scherer also had an agent in Genoa named Régis running a separate network up through the Bochetta Pass into the region between Alessandria and Tortona. In addition to the army general staff’s headquarters intelligence service, Scherer had each of his major-generals form their own intelligence networks covering their immediate fronts. When Napoleon took over command of Scherer’s army on 27 March 1796 he inherited this spy network ready built and very active. As Bonaparte was young and relatively inexperienced, the French government thought he might benefit from two experienced ‘chaperones’. The first of these was a political representative, Antoine-Christophe Salicetti (1757–1809), a lawyer-turned-politician and fellow Corsican. The other was an experienced staff officer, General Alexandre Berthier (1753–1815), who had been drawn from the Army of the Alps. Prior to 1796, Berthier had worked on developing a system for running an efficient army staff. When it came to intelligence gathering – or more specifically, what was called the ‘secret part’ – Berthier suggested keeping a register dedicated to all secret matters. This register would normally be maintained by an adjudant-général, a staff officer equivalent in rank to a colonel. Unfortunately Berthier did not stipulate what this register should contain and none of his registers appear to have survived – presumably each was destroyed at the termination of a campaign. This secret register contained the instructions given to spies, their reports, information obtained by questioning local inhabitants, the reports of officers sent on reconnaissance and the topographic reports provided by engineer officers or other specialists. In addition, it contained information gleaned from the interrogation of travellers, prisoners of war, enemy deserters and from reading intercepted mail. Finally it would contain the secret correspondence with diplomatic agents working in foreign cities who organized their own spy networks. It was, in short, a central record of all intelligence. More is known on the affairs of the ‘secret part’ from the works of General Paul Thiébault (1769–1846), who published a service manual for general and divisional staffs in 1813. This was an expansion of his Manual des Adjudans généraux (1800) in which he discussed the functions of the ‘secret part’ at great length. What makes his work so important is that we know it came from first-hand experience: Thiébault had dealt with the ‘secret part’ while serving on the staff of General Massena in 1796. According to Thiébault, one officer on the general staff was responsible for the register. He would maintain an ‘active correspondence’ with the chiefs of staff at divisional level, who were responsible for local intelligence gathering and espionage – especially in the case of the advance-guard divisions spearheading the army. Each morning the head of ‘the secret part’ would receive reports from the divisional chiefs of staff and then make a report to the chief of the general staff who would, in turn, present an intelligence summary to the commander-in-chief. Explaining the need for spies, Thiébault wrote: ‘To achieve the goal, which is always to mislead the enemy on what he wants to know and to learn what he has an interest in hiding, one can only use spies.’5 Writing on the nature of spies and their employment, Thiébault suggested using the largest number of spies possible, ensuring that they were given the clearest, most concise and complete instructions and that a record was made of all their declarations. On the different types of spy, Thiébault identified five classes of them. The first class were those with a complaint about the opposing government. These spies were usually educated and in a position to make accurate judgments. Thiébault stressed nothing should be neglected to discover them, and to give them all the guarantees they required. In contrast, the second class included those who became spies out of a sense of duty to better serve their country. In spite of the obvious risks they faced, these spies would find some pretext for crossing over to the enemy, usually employing a means of disguise. Thiébault maintained these spies should be well rewarded, but more with honours than money. monks and priests; conniving, gallant, or even impassioned women; people who have some favour to obtain from the government; people who made bad deals, or who, corrupt in their opinion, do not have any other honest means to exist in the world; officers of the enemy army, who having debts, or who enjoy gambling or ostentation, do not have the means of supporting their lifestyle, to fulfil their engagements, or to satisfy their tastes: … the majority of these people without principles, that is to say, without honour, will sacrifice their country to their debauchery, just as they sacrificed themselves: Their greed will triumph over all; they will always go to the highest bidder and one will usually need only gold to learn from them everything that is in their capacity to discover. As an afterthought, Thiébault recommended using women and priests in Catholic countries to gain useful information. He reasoned these two groups had ways of gaining information ‘like no others’ and that in general, people would not be wary of confiding in them. The fifth and last species of spy were those who spied out of fear. These were easily recruited, but because they were mostly taken from the poorly educated classes, they would be limited to shedding light only on ‘material things’. It was important to remember that these spies would never report anything other than what they believed would guarantee their safety – i.e. what the interrogator wanted to hear. They included peasants whose loyalty could be guaranteed by arresting their families or seizing their property, and who were sent into enemy territory under the pretext of selling their produce. Merchants or foreigners who, while going about their business had passed though enemy-occupied territory, were also to be quizzed. Accurate intelligence could be obtained by arresting them, confiscating their goods and by retaining them until their declarations could be checked. Also worth attention were ‘the principal inhabitants of occupied enemy towns and villages’. These were to be threatened and forced to reveal everything they had seen or heard. Enemy deserters were also to be questioned with a great deal of attention, but prisoners of war were considered less reliable. However, even these could still be used to confirm facts and information already received from other sources. Thiébault offered advice on substantiating intelligence reports. He rarely relied on the opinion of a single spy, feeling it necessary to check the depositions of one spy against the other and to only count on the pieces of information reported by coincidence between spies who did not know one another. If a single spy had to be relied upon, one should warn him that he would be detained until his report was checked and that his life depended on its veracity. The headquarters of the enemy commander-in-chief and divisional generals. The location, names and characters of the enemy generals. The location and strength of the artillery parks and cavalry reserve. The names and strength of each corps, its nationality and the number of guns. If the enemy is concentrating or dividing its troops. The measures taken for provisions, transportation and for hospitals. How their troops are nourished, clothed, paid; their morale; how many are sick; the prevalent diseases; the mortality rate, etc. If the enemy moves his troops by day or night; by masses, corps or in detachments. The reinforcements the enemy expects. If military reviews are inspections or field manoeuvres. Are fortifications are being built and how many workmen are involved? As for the manner of acting with the spies, it must always be the same. One will undoubtedly proportion the reward to the service, but one must always give to them what has been promised to them and above all one will not treat them less well than the enemy does. Thus one will be always liberal and on occasions one might be prodigal. Like Sun Tzû, Thiébault suggested the greatest wisdom be employed when using spies to the maximum advantage, profiting from everyday human failings to gain an advantage in war. Such are the means that the nature of things and events can offer. The manner of discovering them and of employing them with the most utility cannot be taught; art develops talent, guides it, but it does not create it… One conceives … how much natural tact and knowledge of men and things are necessary in the conduct of everything relating to this service, to employ the ambitious, to intimidate or interest apprehensive or covetous people and finally, to benefit from every weaknesses one can discover. Returning to Italy in the spring of 1796, the spy Angelo Pico was hard at work, expertly using disguises and the cover of gypsy caravans to move about Piedmont unnoticed. When Napoleon attacked, Pico’s network helped guide the French columns forward and reported on Austrian troop build-ups. At the same time – just as Buonarroti had planned – rebellion broke out in Piedmont. Following the French forces, two Patriots – Ranza and the exiled Turin clubbist Bonafous – proclaimed a revolutionary municipality in the city of Alba. Together they put out a call for Piedmontese and Lombard soldiers to desert their regiments and form revolutionary legions. Further uprisings occurred in Cuneo and Verceilli, but just as the hopes of Piedmontese radicals were on the verge of being realized, their hopes were dashed in what must have seemed to them the most unexpected manner. What the Italian patriots had failed to grasp was that France was in Italy not to liberate Italians but to attack the Austrian army and take pressure off the French armies along the Rhine. The whole operation was intended as a diversion, not a crusade, and neither Paris nor Bonaparte wanted the chaos of another revolution on their hands. Just 18 days into the war, on 28 April 1796 Bonaparte signed an armistice with King Victor Amadeus at Cherasco. In return for peace, Napoleon received three fortresses, Cuneo, Tortona and Alessandria, the guarantee of safe passage for his soldiers through Piedmont and the passage of the River Po at Valenza. For his part Victor Amadeus was allowed to keep his throne – there would be no ‘Republic of Turin’. After the armistice came the backlash: the city of Alba was retaken by royal troops who went on to put down all signs of insurrection. Bonaparte pushed on and took Milan. All the Kings, all the conquerors, all the generals, since the beginning of the world, have used more or less the means that Bonaparte ordered me to employ. I had put myself without scruple to the job and this work, which often gave several reports per day with which the commander-in-chief occupied himself a great deal and which, without the knowledge of almost all his headquarters, had become immense. For practical reasons Landrieux divided the secret bureau’s work into two departments. One would deal with general military affairs while the other was for purely political matters, including the surveillance of the occupied territories and the repression of popular movements. This ‘political wing’ was presided over by Salicetti who was greatly assisted by an agent named Galdi who procured him informants and spies from all walks of life, including prostitutes. Landrieux described it as a council of ‘high police’ and gave it the sinister appellation l’assemblée nocturne. Sessions were held late at night outside the Milan opera house because, Landrieux tells us, the generals were freed up from their duties at this late hour. They were as active spying on the intentions of the government in Paris as anywhere else. Through its informants, Bonaparte was able to find out which officers and politicians posted to Italy were government spies. Once informed that a government stooge was en route, Bonaparte would arrange for him to be reassigned to a different army or better still, ‘buy’ him and his services, as happened with General Clarke. Using Berthier as a mouthpiece, Bonaparte was free to more or less dictate the secret reports Clarke sent to Paris, portraying him in a positive light. Can an army do without a secret bureau? Which good General did not have one? Is it necessary to surround oneself with civilian policemen? They would understand almost nothing… A soldier must be in charge of this part, and he must, as much as possible, employ only soldiers. Although most of the secret bureau’s exploits are now forgotten, Landrieux gives enough examples for us to understand its work. For example, Landrieux explained how he taught officers seconded to him to deliberately allow themselves to be captured. Once behind the enemy lines, the captured officer would be on the look out for useful information. At the time, captured officers were usually exchanged quickly between warring armies, but Landrieux would only make exchanges when a captured subordinate mentioned a pre-arranged codeword in his correspondence. When the officer told Landrieux ‘not to forget the cartel’ the secret service chief knew that the captured officer had something important to communicate. Landrieux would then arrange for him to be swapped with a captured Austrian officer. Landrieux also explained an operation against Austrian agents. To make good their army’s military loses, Austrian spies kept boats on the lakes north of Milan, which were used to transport escaped prisoners of war to Valteline. From there the prisoners were given money and escorted through the Grisons country back to the Tyrol where they could rejoin their regiments. The system was so effective that Landrieux estimated that barely a quarter of the prisoners announced in the bulletins actually arrived in France – although he admitted part of the problem was that the bulletins lied about the number of prisoners in the first place. Landrieux sent a cavalry officer named Etrée to Bergamo to find proof against an Austrian agent named Andréo who was working on the escape route. From the papers discovered on his person, it was established that Andréo was a spy and he was shot on his arrival in Milan. Not realizing Andréo had been executed, a number of people came to speak on his behalf the following day. Landrieux made a careful note of their names, suspecting that many of them might also be Austrian spies. He was very suspicious of a certain Foscarini, a Venetian official sent on a mission to Milan in order to secure Venice’s neutrality in the war between France and Austria. In truth Foscarini was a spy, successfully reporting on French agents sent into Venetian territory. Important as Landrieux was, French historian Jean Savant perhaps overstated things when he described Landrieux as ‘the man who knew everything’. He probably knew about Bonaparte’s contacts with French diplomats, including Tilly in Genoa, Lallement in Venice and Théobald Bacher, a diplomat stationed in Switzerland since 1792 with a vast network of spies stretching from northern Italy up through the German States. However, it is unclear how much Landrieux knew about Napoleon’s most secret operations. Using special agents who were paid directly by Berthier, Napoleon secretly negotiated with some of his Austrian opponents, using agents to deliver huge bribes to ‘throw’ the fate of battles or to ensure some troops were ‘delayed’ in arriving. Savant describes two such bribes that went to Austrian generals: 100,000 francs to Argenteau and 50,000 to Lauer. Apart from these ‘grand traitors’, Bonaparte is said to have paid even more to the Venetian official Giovanelli to set up what became the Verona uprising of 1797. On 6 March 1797, while Landrieux and General Charles Kilmaine (1751–99) were at dinner in Milan, Berthier paid them an unexpected visit. He revealed that as part of their ongoing secret discussions, Austrian agents had put forward a proposal to help end the war. If the French were ‘masters to dispose of the Venetian States’ the Austrians – who had long coveted Venice – might be able to come to an arrangement over Lombardy, Mantua and at the same time Belgium. Although the French already had small garrisons in the major mainland cities, the idea of selling out the world’s oldest republic to the Austrians was unpalatable to say the least. Therefore Bonaparte needed an excuse to depose of the Venetian government, after which he could do with the territory as he liked. Needless to say, Landrieux’s bureau was put to work on the matter straight away. In fact, Landrieux had to a degree anticipated this move and had already sent agents to Bergamo, Brescia, Salo, Verona, Vincence and Padua to seek out opponents of the Venetian government. As with Piedmont, the French would utilize Italian revolutionaries to raise rebellion in each of Venice’s 14 mainland provinces. Landrieux began at Bergamo, which had long experienced revolutionary tensions. The Venetian governor there, Count Ottolini, had learned that revolutionaries were planning an uprising in his city by Milan-based Venetian spies such as Foscarni. This had been confirmed on the night of 12 January 1797, when Bergamo’s Riccardi theatre was burned down – apparently by revolutionary freemasons. Subsequent to this an increasingly jittery Ottolini had brought in 450 extra guards and doubled their patrols. Lhermite set to work and on 11 March, 700 people signed a petition calling for the removal of Ottolini. Another of Landrieux’s agents, Marchesi, described the mob as being armed to the teeth to defend themselves because Ottolini had sent out couriers to raise the provincial militia. During the night the Venetian standard was lowered from the castle and next morning troops from the French garrison began to secure strategic points around the city. Realizing that the game was up, Ottolini fled to Venice. Landrieux soon regretted hiring Lhermite altogether. After the coup the agent was instrumental in setting up the municipal government, causing acute embarrassment by having it offer Landrieux and Kilmaine 5,000,000 francs to share in gratitude. This offer directly implicated Landrieux and the French as being behind the affair. ‘Have you seen anything more imbecilic than that spy of Couthard’s?’ Landrieux wrote to Kilmaine, ‘… he has a reputation as a swindler … The people of Bergamo must have the greatest confidence in me and we cannot be associated with a scamp.’ Matters became worse when it was revealed that Lhermite had somehow found time to pull off a major jewel heist while masterminding the coup: he was now a wanted man by the Bergamese authorities. Lhermite vanished, then turned up in Milan, lodged with an unwitting supply officer. On his arrival he had extorted 30,000 francs from the committee of police for his espionage services. When an arrest warrant was issued he took refuge in Spain. Things went more smoothly when Landrieux turned his attentions to raising Brescia. Again, a great deal of preparation had gone into the operation. Writing to Bonaparte on 21 January 1797, Landrieux revealed that he had sent agent Venturi to Brescia some time after the battle of Castiglione (5 August 1796). From Venturi, Landrieux learned that Venetian spies were being sent to Milan to monitor those Patriots corresponding with citizens of Brescia. More ominous still was the warning that four Frenchmen had been assassinated. 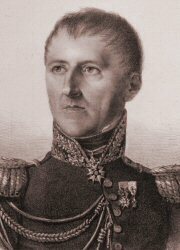 In retaliation Landrieux sent more ‘trusted people’, but on 23 January he regrettably informed Bonaparte that one of his best spies, Lavocato, had been stabbed to death the day before. With its streets and cafés filled with hostile spies, Bresica was no longer safe. The people of Brescia, who were generally well disposed towards the French, were scared of going out into the street lest they were suspected of spying for the French and sent to the Inquisition at Venice. In response Bonaparte ordered Landrieux to expel all Venetian citizens from Milan – Foscarini included. Brescia rose up on 17 March. Landrieux’s chief agent in Brescia was one of the Lecchi brothers – five of whom were in French service, while his sister was mistress to French general Joachim Murat (1767–1815). Another of his agents operating in Brescia, Nicoloni, also pulled off a stunning coup, serving up Crema to the French. Posing as a messenger from Venice, Nicoloni conned a hapless sentry into lowering the city drawbridge one night. With the gates opened, 500 French grenadiers charged in and secured the city while the garrison slept on blissfully unaware. While Landrieux had been working on Bergamo and Brescia, the spy Pico had been ordered to raise a revolt in Verona ‘at any cost’. Landrieux appears to have known what Pico was up to as he mentioned corresponding with him around this time. In what was by then a well-developed routine, Pico – now a captain on Berthier’s general staff – planned to use Italian Jacobins to kick off a revolt and throw out the Venetian governors. Unfortunately the plot was discovered and Pico, along with almost all his Jacobin accomplices, found himself thrown into prison. With time at a premium Bonaparte resorted to bribery, paying off an unsavoury Venetian official named Giovanelli to stage an uprising against the French garrison in Verona. The exact arrangement is unknown, but the payoff was huge – something in the region of the tens of millions of dollars in today’s prices. In making the deal it is improbable that Bonaparte realized just how much trouble he would get for his money. On Easter Monday, 17 April 1797, the people of Verona attacked the French. Instead of the loud riot Bonaparte expected, there was a massacre. Although it was later estimated that 400 had been killed, the first hurried estimates reported up to 3,000 French casualties, including many sick and wounded murdered in their hospital beds. It was exactly what Napoleon needed and within a month, on 12 May, Venice was in his hands. Landrieux first heard of the uprising from one of his spies, a certain Countess Pellegrini. She put the blame squarely on Landrieux, whom she had warned to expect trouble eight days before the massacre. However, Landrieux had indeed passed on the warning to the garrison commander, General Balland, and could not understand why he had not taken preventative steps. He began to smell a rat and the scent led to Giovanelli. Giovanelli betrayed Venice. The Senate is not composed of imbeciles, and they well know that two thousand Frenchmen are not all of the French, and that those remaining will hunt them down without mercy. The Senate did not order this. This crime has been committed only to render the name of Venice odious to the rest of the universe… But who could have employed Giovanelli to have done it? It is neither you nor me. Who is it then? The unpalatable truth began to surface when Landrieux learned that General Balland had been accused of treachery by his colleague General Lahoz – an accusation which led to the two men drawing swords on one another. In his defence, Balland said he had seen a letter from Bonaparte, signed by Berthier, in Giovanelli’s hands. Lahoz refused to believe that Bonaparte or Berthier would have any dealings with Giovanelli, a known ‘brigand,’ a ‘maniac’ and sworn enemy of the French. Landrieux believed Balland’s version of events and suspected Giovanelli was an agent of Bonaparte. It was a serious charge – did Bonaparte plan the massacre of his own troops or not? Landrieux suspected not because Giovanelli fled once the rioters in Verona eventually capitulated to the French army. He concluded that Bonaparte had wanted a disturbance that would provoke Balland’s garrison, not one that would lead to the murder of French troops. However, strangely enough, once Bonaparte overthrew the Venetian Senate and imposed his own puppet government, Giovanelli was made part of it. Later, under the empire, Giovanelli became one of the top dignitaries in the Kingdom of Italy. Perhaps Bonaparte knew more than he let on? The truth may never be known, but from then on Landrieux’s relationship with Bonaparte soured considerably. The head of the secret bureau began to suspect that Bonaparte harboured plans of becoming sovereign of Italy. Not long after Verona, in May 1797 there was a popular uprising in Genoa. A delegation of protestors came to Milan to ask Bonaparte for assistance against the aristocratic government there. The French government was against regime change in Genoa and so Napoleon brusquely refused them, giving them 24 hours to get out of Lombard territory – or else. Instead the delegation went to Landrieux who agreed to help them. He nearly came unstuck when allied troops from the Lombard Legion entered Genoa on the side of the protestors. If the Genoese government survived and complained to Paris, then Landrieux would be in a very sticky position. He feared having gone behind Napoleon’s back and saw no other option but to flee and take refuge in Austria. He went as far as putting his wife and four-month-old baby into Kilmaine’s care, then plundered the secret expenditure chest to fund his retirement. Fortunately for Landrieux, the rebellion succeeded and, let off the hook, he was able to breathe a huge sigh of relief. The strain of secret operations had finally begun to tell on Landrieux and he asked for a period of leave, which Napoleon eventually granted. He was replaced by Adjudant-Général Boyer (1772–1851) who took over the secret service chest. Soon after leaving, a piece appeared in a Milan journal claiming to be written by Landrieux. The piece was lengthy and outlined French secret operations in relation to Venice. In his memoirs Landrieux denied writing the piece, but did not deny its veracity. The only other people who knew about these things were Berthier and Bonaparte. Had they leaked the information to frame him? Landrieux never held an official position again.